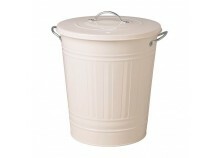 Discover GetFurnished selection of garbage cans to rent. The rental of garbage cans is a service thought for all the people who want to feel at ease in there new home, even if they’re staying in it only for a limited amount of time. 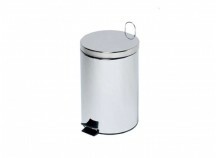 You’ll find in here a large selection of differents types and capacities of garbage cans. Each one of our articles can be rented for a duration that goes from 1 to 36 months. Don’t hesitate and choose to use a convenient rental service that will make your life easier. You want a garbage can to keep a tidy house ? You want one with high-storage capacity ? Or maybe what you need is a garbage can adapted for outside locations ? Whatever your looking for, you can be sure you’ll find on GetFurnished.com the perfect model for you. Your product will be quickly delivered, and you’ll be able to enjoy it for all the duration of your rental. This is why In the end, rental is an advantageous solution that can be more interesting that purchase. Why should you rent a garbage can ? Using only garbage bags isn’t very convenient. Moreover, if you want your house to have a certain degree of standing it’s better to have a garbage can. It will be useful, while looking good in your home. Why should you buy a garbage can when you can instead rent one for almost nothing ? 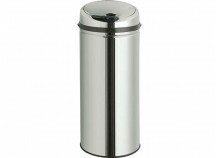 Choose the solution perfectly adapted to your needs by renting a garbage can from us. The Price : When your rent a garbage from GetFurnished.com, it's so cheap that won’t even impact your monthly budget. There is no use to make a purchase for a product that you will have to get rid of at the end of your stay, instead you should simply rent it. The Quality : Our products comes exclusively from the best brands. All the garbage cans that you can rent from us have answered rigorous quality criterias. The Simplicity : With GetFurnished you can equip your home only for a few euros. Garbage can rental is very easy. You choose the product you want, and when and where you want to get it, and will take care of everything else.